One of Apple Valley's newest restaurants, this "LOCALLY OWNED" restaurant, owned by an owner who grew up here and was a former Rosemount police officer, they drew crowds unseen before here. Be it breakfast, a dozen combinations of lunch chicken sandwiches & nuggets, a healthy salad, milkshakes or fun children's play area, come see what the rage is all about. This location is one of the first in the Twin Cities. Chick-fil-A boasts a menu based on chicken products and fresh ingredients, tasty side dishes, enjoyable desserts and "hand-made" preparation techniques for many products such as our hand-breaded chicken and freshly squeezed Chick-fil-A® Lemonade. Its menu offers a variety of choices of delicious products that can fit into a balanced, healthy diet. It all started in 1946, when Truett Cathy opened his first restaurant, Dwarf Grill, in Hapeville, Georgia. Credited with inventing Chick-fil-A's boneless breast of chicken sandwich, Mr. Cathy founded Chick-fil-A, Inc. in the early 1960s and pioneered the establishment of restaurants in shopping malls with the opening of the firstChick-fil-A Restaurant at a mall in suburban Atlanta in 1967. 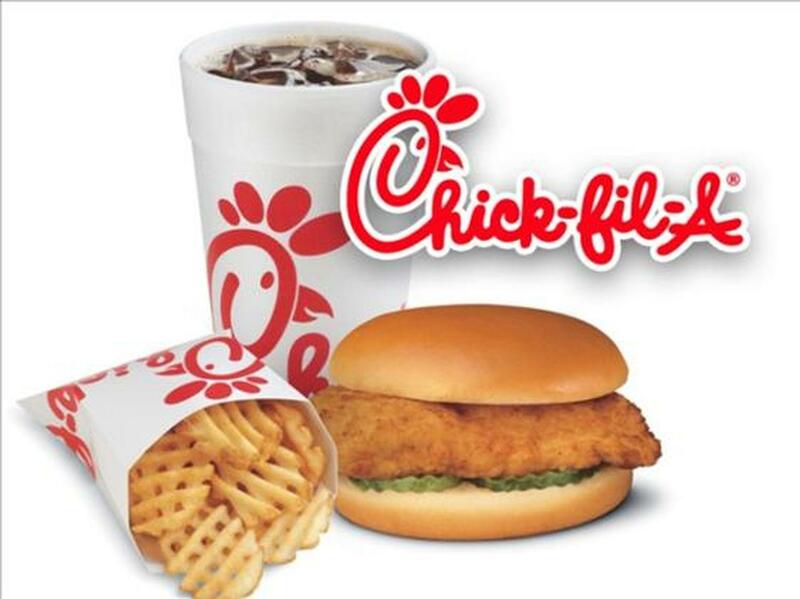 Since then, Chick-fil-A has steadily grown to become the second largest quick-service chicken restaurant chain in the United States, with over 1,700 locations in 39 states and Washington, D.C. In 2012, annual sales were over $4.6 billion. Chick-fil-A is still privately held and family owned. With 45 consecutive years of positive sales growth, Chick-fil-A has set itself apart by pioneering innovations and delicious products—including the ever-popular Chick-fil-A® Chicken Sandwich.